Tony Hsieh is a really nice guy. This is what makes him a very unusual CEO, which is what makes his company so interesting. 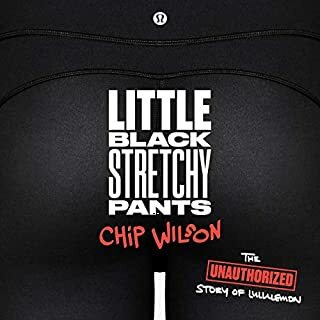 It also makes him a writer who doesn't use much corporate lingo, and a terrifically casual reader of his own book on the growth and development of Zappos, his unique company. One part memoir, one part philosophy, one part corporate handbook, and all silly optimism, Delivering Happiness will appeal to a surprisingly wide audience. Hsieh begins with his business history, which adequately conveys his wackiness. First, there was the worm farm in elementary school. All the worms escaped, and he lost money. Then there was the mail order button business in middle school, so successful that he passed it along to his younger brothers in succession. In high school, he learned a bunch about programming, thereby combining his instincts with an appropriate knowledge base. He laughs out loud at his own computer club lunchtime antics, and so will you. Then there was the pizza business in his dorm at Harvard, where Hsieh found innovative ways not to attend any classes, and a high-paying corporate gig after graduation where he once again did as little as possible. 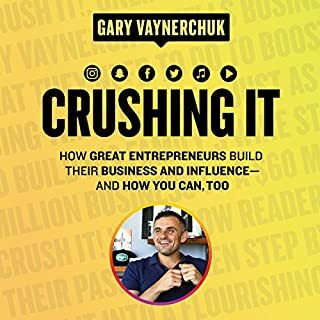 This is a man who likes to take business risks, and as he explains how he made decisions that caused him to grow from slacker into a Red Bull-pounding, 24-hour working machine, you'll be amazed that it sounds like he's smiling the entire time. 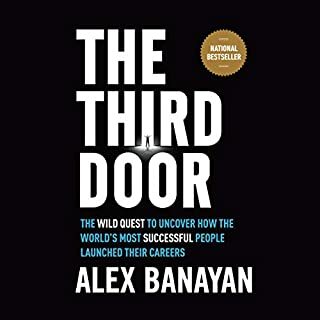 From his first major start-up, which was subsequently sold to Microsoft, to his repeated close calls where Zappos almost went under before it was eventually bought out by Amazon, this true story of one man's corporate odyssey will leave you believing that anything really is possible. It will also at least make you want to shop at Zappos, if it doesn't make you want to move to as Vegas to work there. 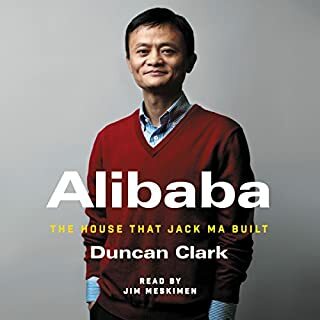 Shot through with brief guest-narrations using the actual participants relevant to Hsieh's fast-paced world of entrepreneurship, there are a wealth of memos, emails, and testimonials that all serve as evidence to his weird intellect. And if you played a drinking game where you drank a shot every time Hsieh mentions having a drink, you'd be drunk before the book is half finished. From the tone of his voice to the story he tells, this is clearly a guy who needs his work to be fun and challenging. Just as Zappos has done, Hsieh's book casually fires the opening volley in a new era of corporate culture and management. 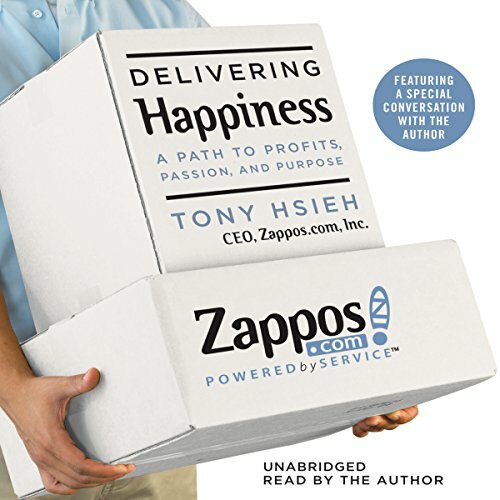 In this, his first audiobook, Tony Hsieh - the widely admired CEO of Zappos, the online shoe retailer - explains how he created a unique culture and commitment to service that aims to improve the lives of employees, customers, vendors, and backers. Using anecdotes and stories from his own life experiences, and from other companies, Hsieh provides concrete ways that companies can achieve unprecedented success. Even better, he shows how creating happiness and record results go hand-in-hand. He starts with the "Why" in a section where he narrates his quest to understand the science of happiness. Then he runs through the ten Zappos "Core Values" - such as "Deliver WOW through Service", "Create Fun and A Little Weirdness", and "Build a Positive Team and Family Spirit" - and explains how you and your colleagues should come up with your own. Hsieh then details many of the unique practices at Zappos that have made it the success it is today, such as their philosphy of allocating marketing money into the customer experience, thereby allowing repeat customers and word-of-mouth be their true form of marketing. He also explains why Zappos's number-one priority is company culture and his belief that once you get the culture right, everything else - great customer service, long-term branding - will happen on its own. Finally, Delivering Happiness explains how Zappos employees actually apply the Core Values to improving their lives outside of work - and to making a difference in their communities and the world. 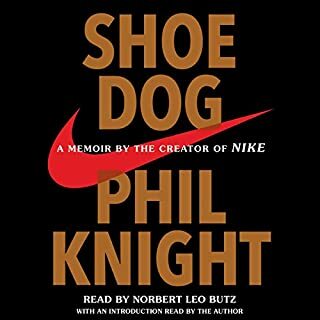 One of the best audio books I've listened to in some time. I love how Tony brought in different people from the organization to share and read their own experiences. It's a good look into his train of thoughts. You can skip the end which is the Q&A part it's pretty much a repeat of stuff he says in the book. I finally know where Zappos is referenced n every business book I've ever read. Tony Hseih is a genius pure and simple. Reading his book I felt a range of emotions. From feeling totally inspired to do more to giving up completely. Because why even bother getting up when geniuses like TH is out there killing it. Excellent book. A great deal of useful info to unpack. 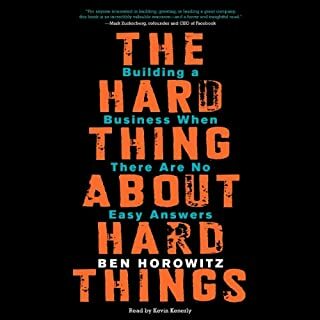 The first quarter of the book about Tony Hsieh's childhood and the lessons he learned feels a bit forced (my button business taught me the lesson of ______). But, my doubts were quickly dispelled with the story of Zappos. I loved how Tony focused on one thing, the best customer service, and did it really well. 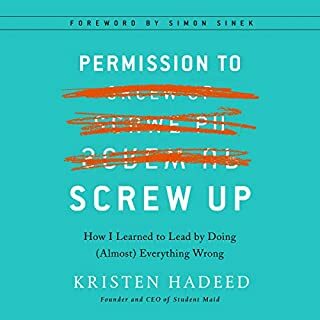 To have the best customer service, they focused on company culture through a system of hiring (it's easier to hire people who fit the culture than try to change people) and through employee advancement opportunities through their "pipeline," giving employees perceived control of their careers. 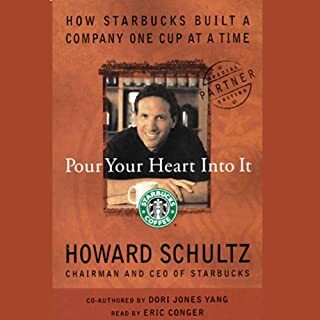 I can't think of any other large company that has been able to sustain a culture (Starbucks had a unique culture, but in recent years they've become too big to sustain it). Tony says that the Zappos company culture is their one sustainable competitive advantage. Will company culture work for your company? 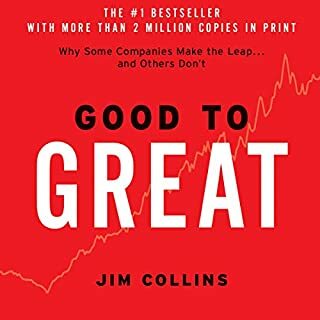 It's hard to say, but there probably is one thing that your company could do better than any other company...and it is probably worthwhile to develop that. The argument was made about Tony "getting lucky." I have to agree, but I'd add that any business success is 80% luck and 20% planning, tenacity, insight, and work ethic. The 20% is critical to making success, but it's not sufficient. Even the most brilliant people will fail more often than they succeed, but you don't often see the entire journey of failures before success. You could use the "luck" argument for any success (Thomas Edison just got lucky, after all, he was wrong 999 times before he was right). I thought that Tony did an excellent job of narrating his book. This isn't the case with many authors turned narrators (i.e. Beer School), but with several authors like Malcom Gladwell and Bill Bryson, hearing the book in the author's voice puts you into the story better than with a professional narrator. I'd put Tony's narration squarely in this category. This is an amazing story, and one that inspires you to move forward with your passion. Success, as everybody knows it when it already hits the media, portrays the glory but not the story. Entrepreneurship is like surfing, you have to ride out the waves, you never know when you hit a great one. 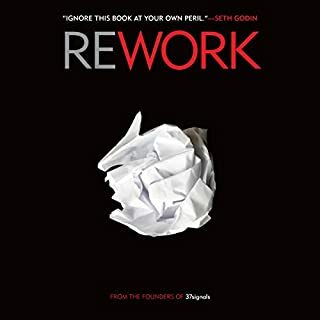 This is a memoir by Tony Hsieh about how a company was molded through the founder’s philosophy and made into a successful company. As Hsieh goes back through his childhood he provides funny and entertaining experiences that provide perspective on how he developed his unique business philosophy. The book will provide entrepreneurs some useful information on developing a business and can act as a case study of a successful business. He shows how he built a tight-knit family like atmosphere that created happy employees. The employees then worked harder for the company. He also shows how he built team cohesion. 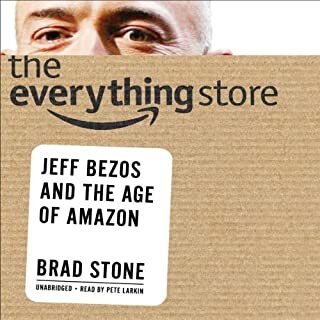 At the end of the book there is a statement by Jeff Bezos and also a discussion group with a professor Marshall and Hsieh. The book is well written and easy to read. The company Hsieh build was Zappos an online shoe emporium. Hsieh sold the company for $1.2 billion dollars to Amazon. Tony Hsieh narrated his own book. I really enjoyed hearing about Tony's growth as an individual and listening to the trials and tribulations when building Zappos. Opposed to the standard book rambling off stats or uncommon words to give the perception of intelligence; Tony along with some other Zappos employees informally talk to you just like you were at Starbucks telling a story. Opposed to be lectured to like the professor in the last chapter of the book, it feels like you're experiencing birth and rise of Zappos alongside Tony and his staff. 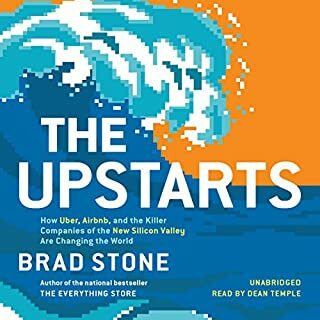 If you a business owner looking for an excellent inspirational book that provides a blueprint on how you can start thinking about changing your company's culture then this is the book! The only thing I couldn't handle was the listening to an interview with Warren Bennis and Tony at the end. This guy is the typical professor who is obsessed with himself, self promotes another one of his ignoramus books, and talks down to Tony, all while trying to appear that his vast intellect is fair superior than Tony's while having no clue who Tony even is. I seriously would have rather listened to an air horn next to my ear than listen to Warren Bennis for another second. What's even worse that that the guy that introduces Warren and Tony to the group is so infatuated with him (Warren) that I wasn't sure if the guy was going to start licking Warrens big toe or start talking about the fan club. I had heard of Zappos as the online shoestore, but never as the company that sees its culture as its core competence. The book outlines Tony Hsieh's (the owner/CEO) personal business biography and combines it with the steps he and his team took to build Zappos. Tony shows that success is also a matter of luck: Zappos hovered on the brink of bankruptcy for a few years and only his own wealth prevented it until finally some investors put money on the table, and even then it took 4-6 years before Zappos was out of the danger zone. The book is a very nice story, and although Tony is not a narrator (he speaks a bit fast) his enthusiasm and personal touch make him the ideal storyteller nonetheless. 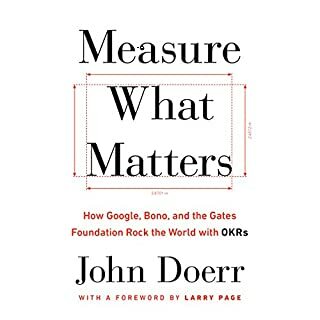 I am not much for biographies, so the book for me became really interesting when he starts to describe how he build the culture of the company step by step. Not planned or methodical, because that's not how it works, but purposeful with deep commitment from his colleagues, co-workers and the extended Zappos family. - share, commit and take risk also as managers. The culture of Zappos might not be the culture you wish or have, but that is not the point. The key is that a strong culture can strengthen your position and can be purposefully built. Try it yourself! 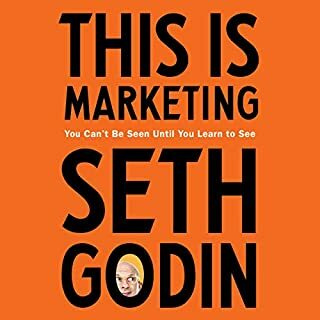 It was an entertaining book to listen to on the road, great ideas about culture in companies, customer service, experience and capacity building. Will start to apply ideas in my company. Great book going through the history of Zappos and showing a successful business can be run a different way. Unlike other business books that put the owner on a pedestal this one keeps it real. What amazed me was the huge risk he took to make Zappos happen. While he should not read other books his voice added a level of authenticity and depth to this one. Delivering Happiness is part brief autobiography, part “here are my brilliant ideas for how to conceive, start, and run a business”. He is more strongly oriented towards creating a corporate culture than any other business guru, and presents interesting ideas for how to create that culture. However, I’ve got a problem with Tony and the book - proof (or at least viable evidence) and replication. Tony was at the right place at the right time once and pretty much by accident made millions in the process. Out of boredom he joined what was to become Zappos. 10 years later he has made Zappos the largest online store specializing in footwear, with sales over $1B per year. But Zappos has always been on the verge of failure and is completely dependent on an ongoing 100 million dollar line of credit with their banks. This tells me that they have less than $1M (less than 10%) in profit. This would not be considered a successful situation for any business. For all of the hype about how brilliant Tony is, he hasn’t proved that culture is the key to business success. I wish he had–I’m a huge believer in developing corporate culture, one based on integrity, contribution, and “doing what is right”. He as not demonstrated that if you build the right culture the profits will follow. He has not demonstrated anything except that he was successful at making money by accident one time in his life, and his Zappos isn’t it. More disappointing is he discusses the dozens, possibly over a hundred other companies he helped start, most of which failed, none of which had more than marginal success. So like most of the other business gurus, he provides no proof or evidence of his ideas, and has not been able to replicate his one (apparently accidental) success. Not someone I would consider a viable role model, leader, or even teacher. Good read, not good Business!! 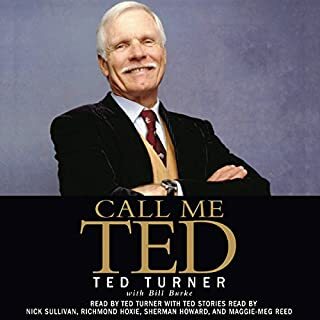 Here is the thing, the book is a good listen. It was a crazy trip the man took from start to finish and made for an exciting listen. But as for a business book, not good. There is nothing business about it. The book should be in Entertainment section. I am in business, and i can tell you, if you are doing $46 millioin a year in rev. and not making a profit. you have issues and a horrible business plan. Yes in the end it worked out for him, but 999 out of a 1,000 times the person will be writting a book on how they lost everything. And he almost did, dont get me wrong i know how the story ended and they deserve everything they got in the end. 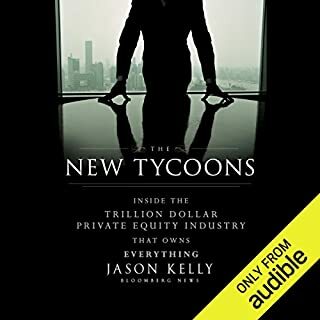 With that being said, like mentioned earlier, great listen, exciting, but dont plan on learning anything to help you in your business.. this should be in entertainment.. 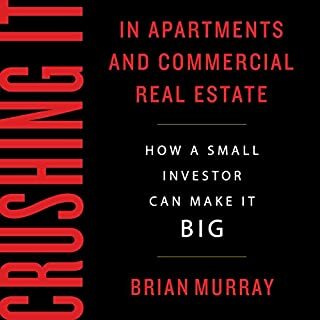 This book is interesting and very informative for a business owner. I love Tony's style of writing - it's very natural and you feel like you know him. 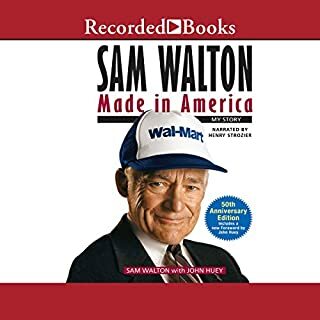 I would recommend this book to other business owners and my employees.